Cheers to the start of a new semester! 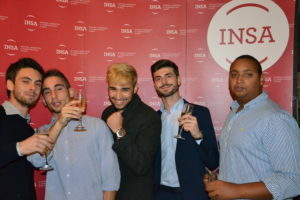 INSA Business, Marketing & Communication School celebrated the annual opening party of the academic year. The presence of students, alumni and professors together with the chosen venue, Mobster’s made the party an absolute success. 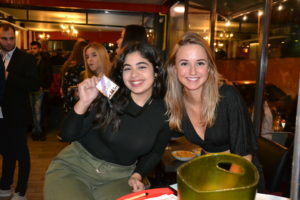 There were very funny moments during the night playing lottery game, the students won incredible prizes from eCooltra, GRUP Consdecor, Uniplaces, El Molinet Coffee Bar & more. We hope you enjoyed the evening as much as we did and look forward to seeing you all again at next event! Welcome everyone to Barcelona, welcome to INSA!